Bg color : Set the background color (in hexcode) to the content area. Padding: Add spacing inside the content area. Border Width: Set border width (in px) to the content area. Border Color: Set border color(in hexcode) to the content area. Letter Spacing: Can add space between letters (in px). Delay : Default delay between the fade in/out slideshow is 3000.Can change the delay using this parameter. Height: Can set the min height to the content area. Show Read More: Can set yes or no. If set to yes it will display the read more button. Read More (New Window): Can set yes or no. If set to Yes the link will open in new window. Please click the link below to find how to install the plugin. [http://www.pearlbells.co.uk/install-flash-news/ ] and follow the steps 1 – 5. 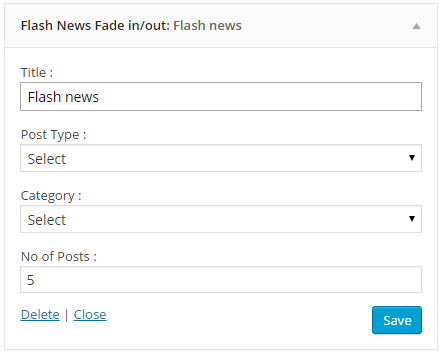 Please drag and drop the ‘Flash News’ widget to the available sidebar or footer location as show below. Select the ‘Post Type’ and ‘Category’ from the dropdown list and also set the ‘No of posts’ (by default it is 5). Login into wordpress admin area. 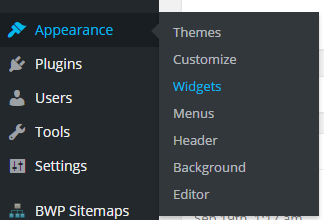 Select Plugin -> Add New from the left hand menu as shown below. Click ‘Upload Plugin’ button next to add ‘Add Plugins’ on the top end side as shown below. Please choose the file from system using ‘Choose File’ button and click ‘Install Now’. a)	If you want to display the post based on the category. b)	If you want display news from the default post or custom post type. If you want to display custom data and want to link to external website please select Flash news->News from the dashboard and enter data and external link separated by a (–) as shown in the below figure. Do you want to display flash news in your webpage or post ? 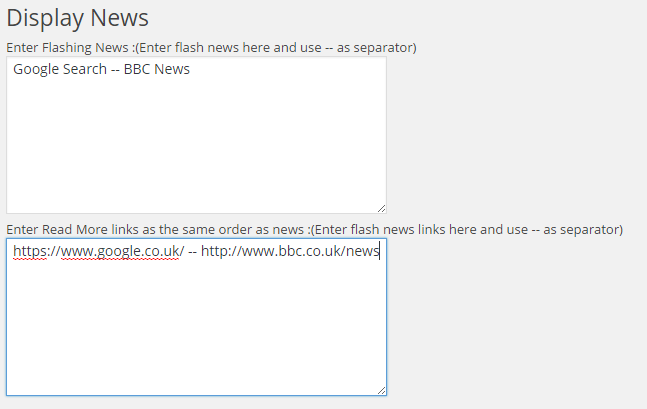 This plugin help to display flash news in your webpage /post as a loop with typewriter effect. It is possible to customise the display features to sync with the look and feel of your website.